KexWorks | On-Site vs Off-Site SEO: Which Should You Focus on First? 05 Oct On-Site vs Off-Site SEO: Which Should You Focus on First? 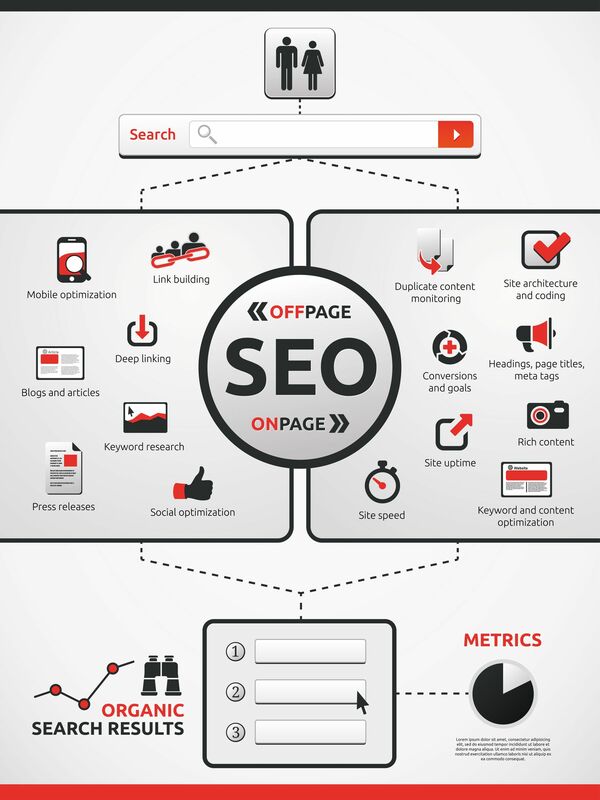 Do-it-yourself SEO can be overwhelming. Many website owners are confused with the numerous to do’s optimizing their website includes, and are not sure whether they should start with enriching their content with keywords or submitting their website to online directories. If you have been wondering whether it’s on-site or off-site SEO you should start with, let’s first clarify what is meant by each. So Is One More Effective Than the Other? On-site and off-site SEO go hand-in-hand, and you can’t say which of them is more effective. SEO experts recommend a combined approach, because it’s the smart mix of on-site and off-site efforts that yield the best result. As you may guess, there’s no point directing visitors to your website unless it can fully meet their expectations. That’s why your very first step is creating a top-notch website, keeping in mind not only keyword optimization, but its overall usability, clear and convenient structure, and persuasive copy. All these are elements that will help your website rank well and, most importantly, convert well. Content marketing is the next big step: use high quality, keyword-optimized content to reach several important goals: enrich your website with fresh content, get incoming links from relevant blogs and news websites, and ‘nurture’ your audience with valuable advice to convert them to customers. Content marketing can include running your own blog and sharing your content in social media, as well as creating guest posts for influential bloggers in your industry. Finally, you should develop and implement a long-term link building strategy, generating as many incoming links to your website as possible (don’t forget about their quality, though). Use website directories, article and press release directories, RSS feed submissions, as well as Google AdWords to generate incoming traffic and establish a good page rank for your website. Both on-site and off-site SEO are essential components of achieving good search engine positions for your website, so make sure you pay adequate attention to each. Now, how about your own SEO strategy: do you focus more on on-site/off-site optimization, or try to maintain a balance? Which techniques work best for you? Feel free to reply in the comments below.